How do you fight back against hair loss? How do you win a seemingly losing battle? It is alarming to note that about 30 million men and 20 million women in the US are battling with hair loss. Thankfully, however, there are now a number of surgical and non-surgical methods that can help you grow your hair back. Medications. There are two major medications that can be used to treat hair loss – Propecia (Finasteride) and Minoxidil (Rogaine). While both can be effectively used to treat hair loss in men, only Minoxidil can be used to treat female hair loss. Oral contraceptives can likewise be used to counter the effects of hair loss in women, especially if the underlying cause can be traced back to hormonal abnormalities. Cell therapy. While platelet rich plasma (PRP) is more commonly used to increase the survival rate and encourage the growth of transplanted hair grafts as well as to facilitate faster wound healing following a hair transplant surgery, research indicates that it has the potential to activate dormant follicular stem cells. 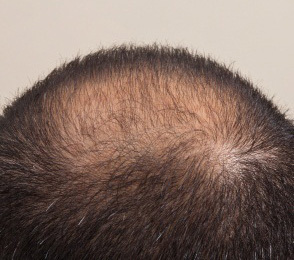 Research also indicates that when used as a stand-alone treatment, PRP therapy can help slow down the rate of hair loss, thicken fine vellus hair and darken hair color. Low level laser technology (LLLT). This technology is perfect for both men and women who are desperately searching for ways to stop hair loss in its tracks and encourage hair re-growth. Research indicates that 80% of those who used such treatment successfully stopped hair loss while 40% were rewarded with thicker hairs. Follicular unit transplantation (FUT). With this technique, a fine strip of hair is harvested at the back of the head and divided into groups with one to four hairs each. These are then transplanted to the balding areas of the head to facilitate hair growth. Individual Graft Technique (IGT). This technique involves moving the patient’s hair to the recipient site one graft at a time. The fact that this technique uses hair from other parts of the body to supplement the hair supply coming from the donor area makes it quite unique. Total Crown Renewal. This is a patented hair restoration procedure that effectively treats the top and back of the scalp. It involves placing a bio-elastic silicon sheet using a surgical procedure and carefully expanding the hair-bearing scalp over it. To find out which hair loss treatment is right for you, you should seriously consider scheduling an appointment with Dr. Mark DiStefano of the DiStefano Hair Restoration Clinic. But please don’t wait until it’s too late. Previous PostPrevious Female Hair Loss and Chemotherapy: How Can You Prevent It?